The sustainable development of Earth is a topic high on the agenda of the UN and any nation that cares for humankind’s survival on its home planet. Economic, ecological, social, and cultural dimensions of sustainability are already under discussion. Taken the long-term development of the solar system into account, it is, however, unavoidable to include in these deliberations not only a technological imperative but also an expansion into space, because one distant day, the sun will become too hot to sustain life on Earth. Besides, asteroid impact could reshuffle evolution on Earth. Following NASA’s initiative, and building on the UN’S considerations, a truly planetary sustainability therefore has to take the space surrounding Earth into account, and even would have to be extended to an interplanetary concept of sustainability one day. Would Mars be the planet to go, if sufficient bases will have been built or even terraforming efforts have taken place? How can we hold up the necessary dimensions of sustainability in this context? An outlook will discuss, which ethical questions would arise, if we would encounter extraterrestrial life while expanding into our solar system. Francis. (2015). Laudato si: On care for our common home. Retrieved June 8, 2018, from http://w2.vatican.va/content/francesco/en/encyclicals/documents/papa-francesco_20150524_enciclica-laudato-si.html. Losch, A. (2018). The need of an ethics of planetary sustainability. International Journal of Astrobiology 1–8. https://doi.org/10.1017/s1473550417000490. Pass, J., Dudley-Rowley, M., Gangale, T. (2006). 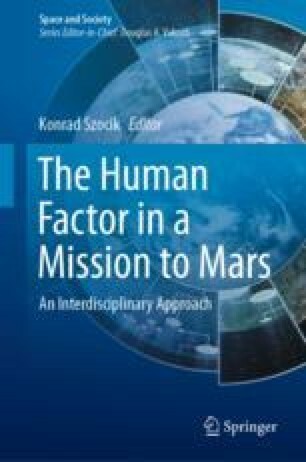 The cultural imperative to colonize space: An astrosociological perspective. Space 2006. San Jose, California. [Reston, Va.]: [American Institute of Aeronautics and Astronautics]. https://doi.org/10.2514/6.2006-7488. Rockström, J., Steffen, W., Noone, K., Persson, Å., Chapin III, F. S., Lambin, E., et al. (2009). Planetary boundaries: Exploring the safe operating space for humanity. Ecology and Society 14 (2). https://doi.org/10.5751/es-03180-140232.